Penn players gather around coach Mike McLaughlin during a women's basketball game against La Salle. Villanova started Big East play with a loss at home to Butler and then beat Xavier on Monday, but the other City Six women’s basketball teams waited until 2019 to get into conference play. With the rest of the schedule coming against almost exclusively league opponents, this is where the schools stand as they enter the part of the season that will determine their NCAA Tournament fate. A year ago, it was an 11-0 start, including a victory against Duke, that persuaded the Wildcats that they could compete at an elite level. 'Nova (9-3) doesn’t need the kind of internal self-assurance anymore, but a win over Georgia of the powerful Southeastern Conference is a solid signature nonconference win. The Wildcats finished 22-8 and were one of three Big East teams to get at-large bids last year. A similar win total would probably be good enough this season. Another 12-win Big East season would accomplish that. The Quakers (8-2) don’t waste any time coming to their Waterloo. Penn will open Ivy League play at Princeton (Saturday, 2 p.m.). The Tigers beat the Quakers three times during the 2017-18 season, including a 29-point dusting in the Ivy League Tournament championship game at the Palestra. 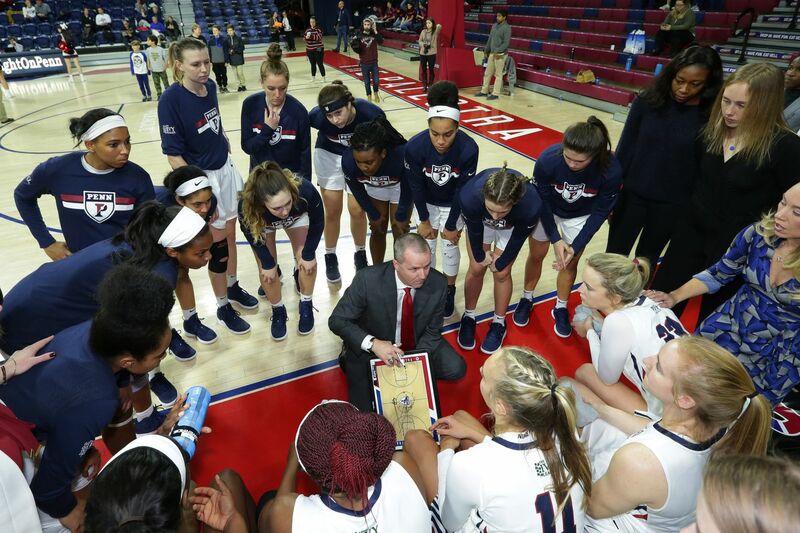 The Ivy has never had an at-large bid into the NCAA Women’s Tournament, so it is likely that Penn’s chance will come from gaining one of the four bids into the Ivy League championship tournament and playing for the automatic bid. The Quakers should be able to do that. The Dragons did what they had to do during the nonconference schedule by posting a solid 8-3 record. The Colonial Athletic Conference is a one-bid league for the NCAA Tournament so the regular season is all about establishing status in the league and positioning for a strong path into the CAA tournament championship game. Drexel will open CAA play with home games against Towson on Friday and James Madison on Sunday. If the Owls (4-7) had another year’s experience, perhaps they might have been able to handle the challenging nonconference schedule set before them. Games at Mississippi, Miami, DePaul, Villanova, and South Carolina were too much to ask of a team composed primarily of sophomores and freshmen. Short of running the table in American Athletic Conference, which would require two wins over No. 1-ranked Connecticut, which has never lost an AAC game, the Owls won’t get an at-large bid. Considering the drastic changes the Explorers (3-11) have gone through during the transition to new head coach Mountain MacGillivray, the fact that they are nearly halfway to their 2017-18 total of eight wins is a testament to playing hard against difficult odds. The Atlantic 10 is not strong this season, and there are several winnable games for La Salle. Avoiding 20 losses for the third time in four seasons will be a challenging but possible goal. The Hawks began the season with three straight losses to City Six teams and have yet to recover. The nonconference schedule was not overly difficult, and St. Joe’s had to anticipate better than a 4-9 start. There is no signature win, and there are bad losses to Rider, Towson, Delaware, and Navy. The Hawks almost made the NCAA Tournament last season but lost in the A-10 final. It will take clearing that final hurdle to make it this season.